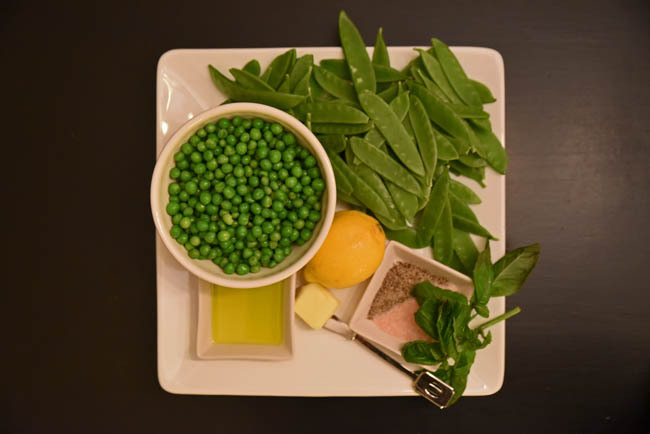 I’m not sure if it’s the weather or St. Patrick’s Day yesterday, but I was in the mood to prepare something green and fresh (well, as fresh as possible this time of year) for dinner. And even I need an alternative to Brussels sprouts every once in a while. I spotted this pretty vegetable dish out of the Good for You cookbook (link here) and modified it a bit for a light and delicious accompaniment to burgers on the grill. I’ve included the recipe below. Reality Check. This dish, while tasty, will be ten times better in the summer when these ingredients come fresh from the farmers’ market. I don’t think I’ve ever seen such sad looking basil as the package I picked up at the store for this recipe. In a large fry pan over medium heat, add the butter and olive oil and cook until the butter is melted. 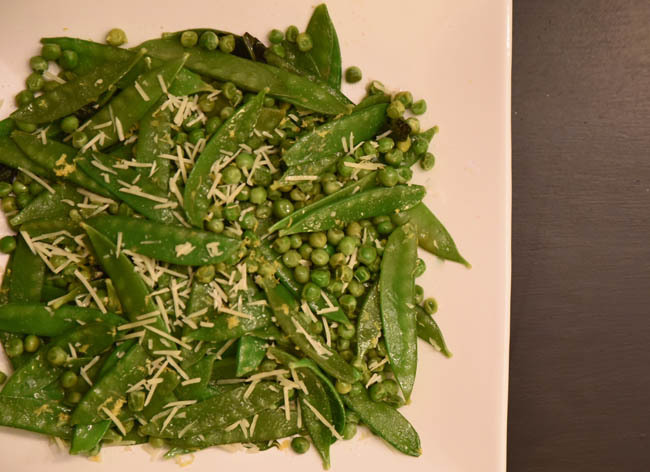 Add the sugar snap peas and English peas. Pour in 1/4 cup water and a generous pinch of salt. Cover and cook for 2 minutes. Uncover and cook, stirring occasionally, until the water has evaporated, about 2-3 minutes. 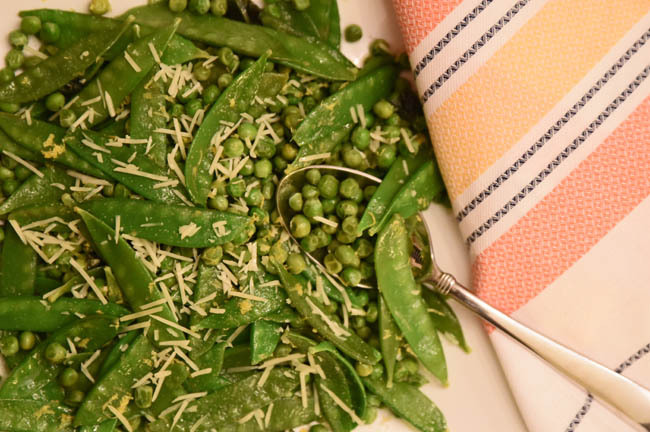 The peas should be tender crisp. 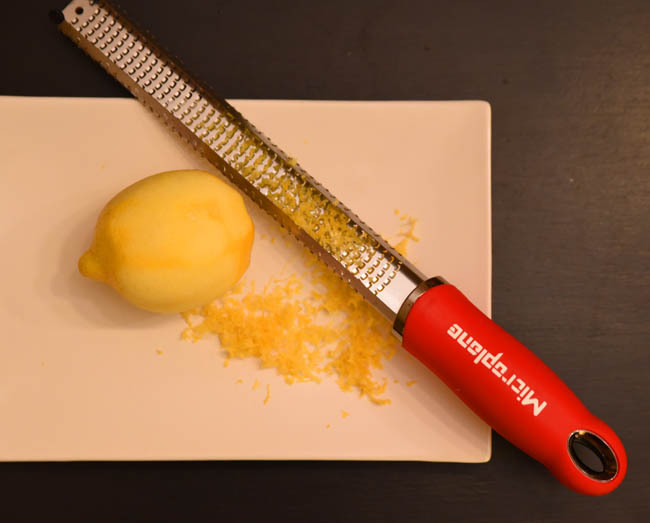 Finely grate 2 teaspoons lemon zest from the lemon (I highly recommend a Microplane for zesting). Remove the pan from the heat and add the juice from one half of the lemon. Add the lemon zest and basil, and salt and pepper to taste. Add cheese prior to serving. Thanks Meg! And it tastes better than it looks. (: Truly, all of those greens are a little sad looking this time of year (I debated even posting about it because the pictures weren’t as great as they could be with super fresh veggies), but its such a yummy option – the lemon and basil are nice additions. I’m loving Haricot Verts (green beans) from trader joes, the recipe on the back of the package is perfect: a little olive oil, a little lemon juice, nuts of your choice, all in a saute pan. Its simple, but delicious.